﻿ Best Price on Paradera Park Aruba in Paradera + Reviews! This resort is 10 minutes from Palm Beach and Eagle Beach in Paradera, Aruba. It features landscaped tropical gardens and a large outdoor pool with a sun terrace. Guests will receive a welcome drink. 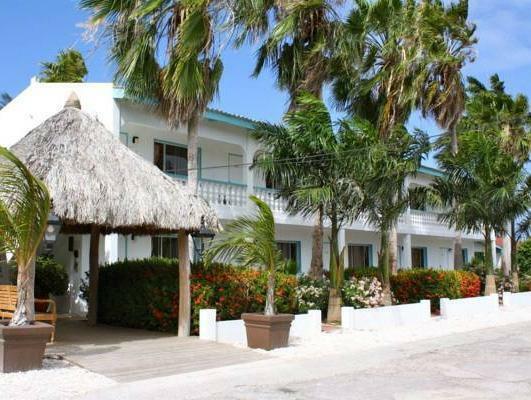 The studios and suites at Aruba Paradera Park are soundproofed and include cable TV, free WiFi and an in-room safe. They are furnished with a large private balcony or patio and the kitchen is complete with a hob, refrigerator, and microwave. Cookware and dishware are provided. Local calls can be made at no extra cost. Housekeeping is provided every day. Snorkeling equipment rental is available at this Aruba resort. Cabanas, hammocks, and lounge chairs are located around the pool. Free beach towels, chairs and a cooler are also available for beach visits. A library and business services are available too. The hotel can assist with directions and reservations. Downtown Oranjestad is 5 minutes' drive from Paradera Park Aruba. The Casibari rock formations are only one mile from the resort. Upon check-in photo identification and credit card is required. All special requests are subject to availability upon check-in. Special requests cannot be guaranteed and may incur additional charges. Please inform Paradera Park Aruba of your expected arrival time in advance. You can use the Special Requests box when booking, or contact the property directly using the contact details in your confirmation. Guests are required to show a photo ID and credit card upon check-in. Please note that all Special Requests are subject to availability and additional charges may apply. This property does not accommodate bachelor(ette) or similar parties. El hotel debitó USD de mi tarjeta de crédito sin mi autorización antes del check in, esto no debió ser lo correcto. Gracias. The hotel debited from my credit card USD on 11/21/2012 before check-in without my authorization, this should not be right. Thank you.